The chief representative of the Priestess in Blackmarch, Metropolitan Hildegard oversees the priests and priestesses of the gods of Light in the province. Her seat is in the cathedral at Foothold. 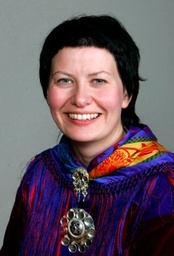 Image: Norwegian Minister of Fisheries and Coastal Affairs Helga Pedersen, on whom I may have a crush.